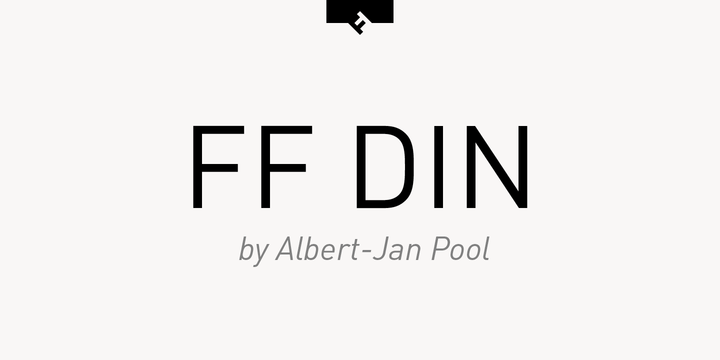 FF DIN is a san serif typeface created by Albert – Jan Pool and published by FontFont which is available in 4 widths, 10 weights (from Light to Black) with accompanying italics, a complete range of figure set options and multilingual support. It was designed to be suitable for editorial, logo, branding, magazine, poster, text, packaging, signage, screen desigh and so on. You’ll also find FF DIN Round. A must have for any designer! Note: “FF DIN” is registered Trademark of FontShop International GmbH. Price: starting from $65 to $95 for one font specimen. A font description published on Monday, February 1st, 2016 in Albert-Jan Pool, FontFont, Fonts by Alexandra that has 3,574 views.